Budgeting is a key function of controllers and their staff, including the counting of spending and revenues. As this job title suggests, they "control" access to corporate funds, exercising important fiduciary responsibility. 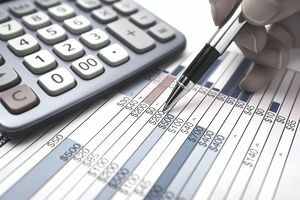 In many situations, professionals in the controller's organization must approve expenditures. Becoming a controller is a natural career progression for accountants and auditors, but not every controller position requires such prior experience. Controllers typically are part of the organization headed by a company-wide or divisional chief financial officer (CFO). In smaller companies and organizations, the roles of controller and CFO may be combined. Also, note that larger companies may have corporate budgeting and project analysis departments in addition to their networks of divisional or departmental controllers. Meanwhile, in government, officials with the title of treasurer often either perform the duties of a controller or supervise others who do. Moreover, an alternate spelling, comptroller, is often seen in government. Indeed, in some jurisdictions, such as the City of New York, the comptroller is an elected position. In most companies controllers and their staffs have responsibility for management reporting systems, developing reports and analyses that are crucial to the management of the business. In larger companies, they also are involved in the design and maintenance of transfer pricing methodologies and systems. In addition to the measurement and analysis of corporate profitability, controllers often work closely with people in the marketing function, especially product managers, in setting pricing policies for the company's products and services. In lean organizations, controllers can have broad job descriptions or a number of unstated additional duties, assuming a variety of additional roles. In these situations, controllers often have assignments and ongoing responsibilities that cross over into fields, such as human resources, market research, general data analysis, product management, product development, corporate strategy, business forecasting, and liaison with information technology groups, among many others. Additionally, since controllers often find themselves in matrix reporting situations, they often serve as de facto chiefs of staff for their superiors on the business or operational side (as opposed to their superiors in the financial organization). A large corporation will have multiple layers of controllers, depending on how its hierarchy of departments and divisions is organized. Working in a controllership function can be an excellent way to gain a broad knowledge of the business. In the financial services industry, controllers frequently work closely with compliance and risk management departments. While holding a CPA can help one advance in controller positions, or to rise to the post of a divisional or company CFO, it is not always necessary, especially in lower-level positions. Policies differ by company. In technology-intensive companies, including much of the financial services industry, controllers and CFOs should develop at least a rudimentary understanding of key IT concepts and issues. This will give them the necessary expertise to evaluate IT proposals and plans, which can have huge financial and strategic impacts. Cloud computing, for example, is a hot topic in IT today (as well as in risk management) and financial professionals thus should at least a passing familiarity with the concept. The Bureau of Labor Statistics (BLS) places controllers within its broad category of financial managers. As of May 2012, median pay for management analysts was $78,600 and 90% earned between $44,370 and $142,580.​ Within the financial services industry, controllers often are paid considerably more than the overall averages for financial managers, or for controllers in other industries. Also note that since there may be controllers at various levels within a company (such for departments, business units, divisions, subsidiaries or the company as a whole), pay will vary, of course, based on the level at which a given controller is placed. Finally, geographic pay differentials are bound to influence pay by location.